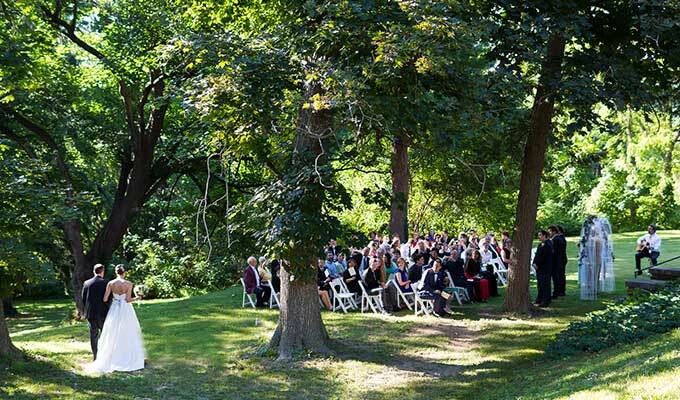 Our Pennsylvania wedding venue offers the most magical and intimate setting for a wedding to remember. Imagine having your own private mansion for the day. Allow our staff to attend to any needs you may have. Our public spaces, grounds, and on site restaurant allow for a wide variety of events. 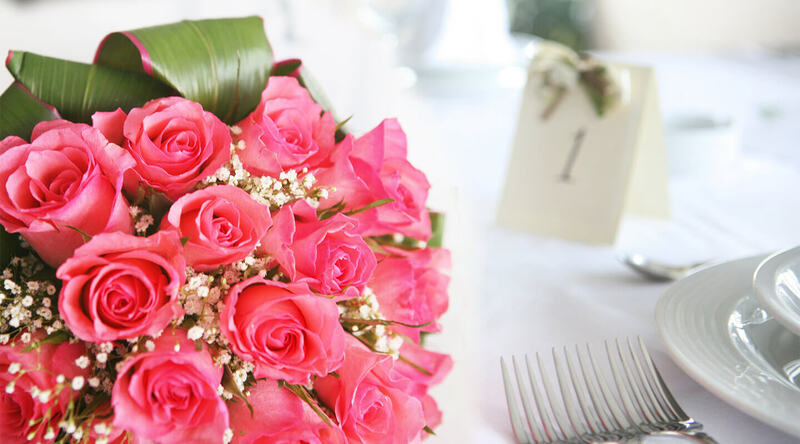 If you are looking for a more intimate event check out our elopement package. 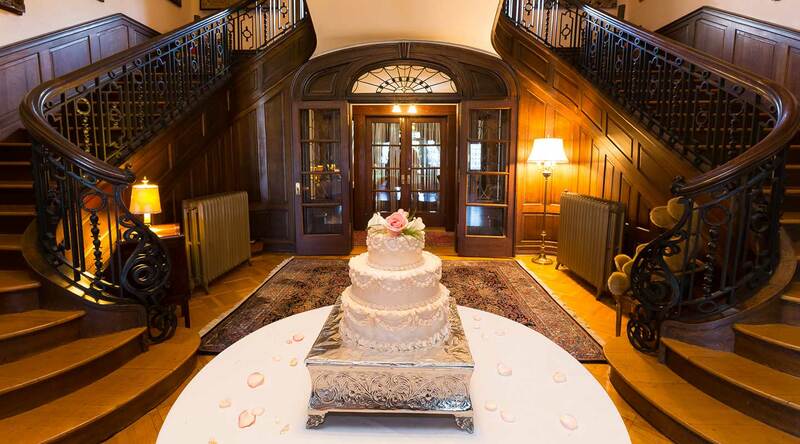 Plan your Pennsylvania wedding at The Mercersburg Inn, a private mansion for a day. Upon arrival, our experienced, professional staff will receive your guests. They will enjoy cocktails and butlered hors d’oeuvres served by white-gloved servers, dinner prepared by Chef Nowalk of our fine dining restaurant, Byron’s Dining Room, cake cutting in the Grand Lobby, then dancing in the Great Room. 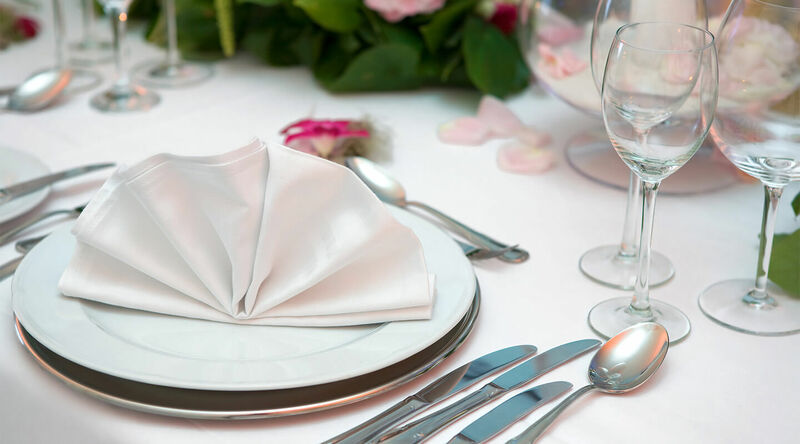 Our Chef will be happy to create a custom menu for your special day. 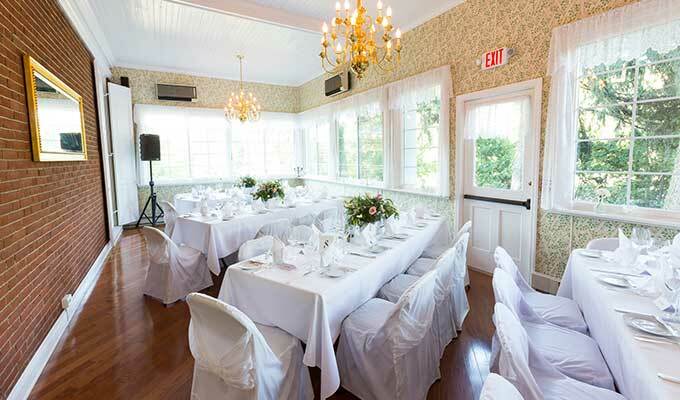 We can accommodate up to 100 guests inside of the Inn. During the warm weather up to 150 guests will enjoy dinner in a wedding tent with the majestic Mercersburg Inn as the backdrop. Then, it is back to our Pennsylvania Inn for cocktails and dancing. Venue and lodging costs vary based on the size of the celebration and the season, please fill out our event information form for a custom quote or call (717) 328- 5231 to schedule a private tour. 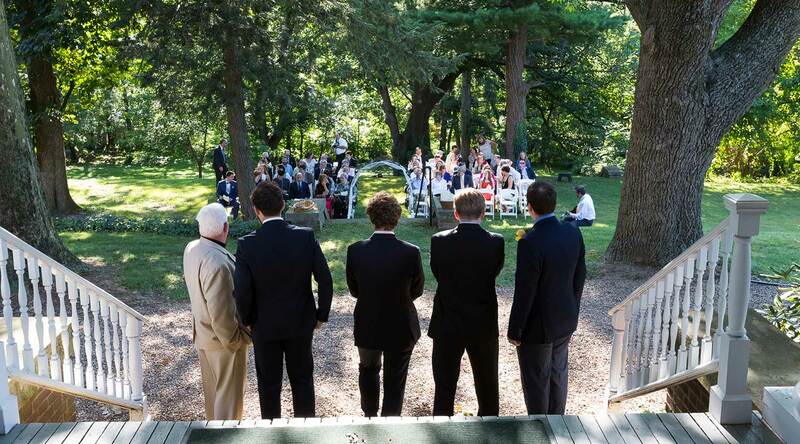 If you choose, the Inn is a beautiful setting for a ceremony. Whether it is a cozy, romantic one at the base of the amazing dual curved staircase or an airy, flower-filled summer ceremony on beautifully landscaped lawns – the possibilities are endless. Whatever you chose, it will be unforgettable. 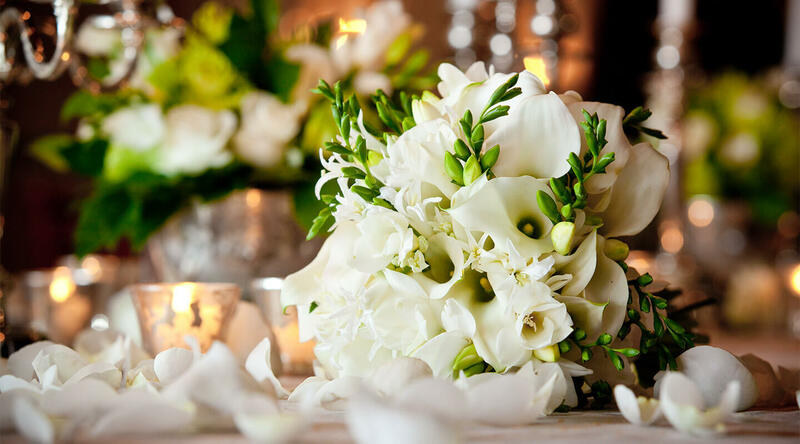 For weddings larger than 30 guests, in order to create the intimacy and privacy of your special day, we suggest that your guests reserve our guest rooms or suites. 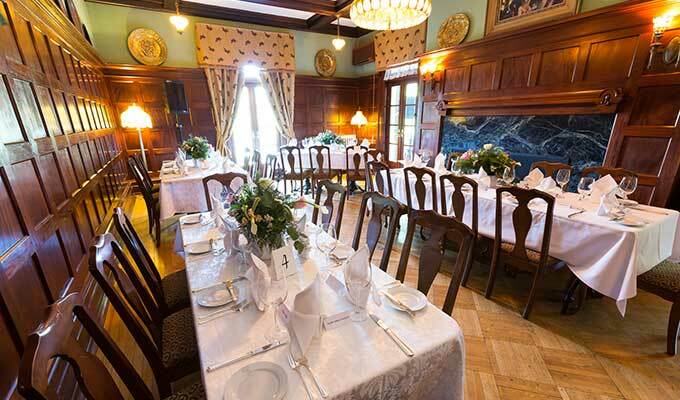 A wedding with family and friends staying overnight at the Inn affords a time to relax and reminisce. 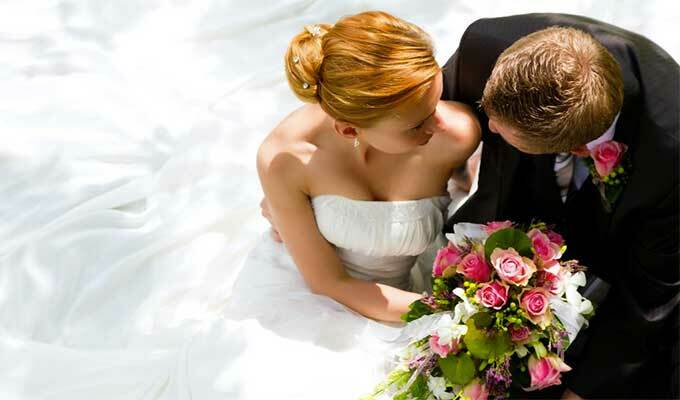 It also lends itself to the blending of the two families into a new one brought together by your vows. After the wedding, retire to your elegantly appointed room with the most comfortable bed with down pillows, comforters, and feather beds. Awaken the next morning to the delicious aromas wafting from the breakfast being prepared. 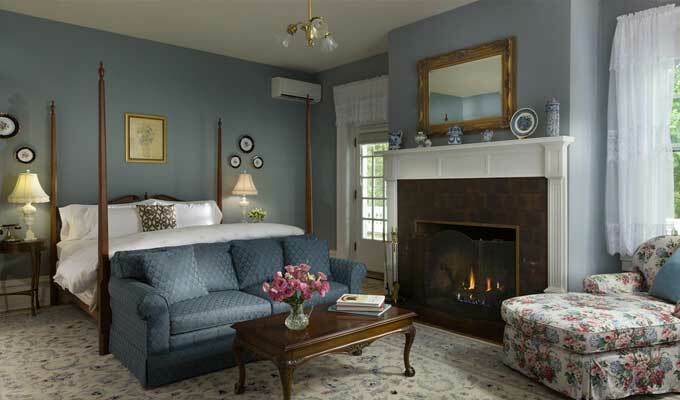 Don’t forget that a honeymoon at our Inn offers romance and adventure! Check out our Pennsylvania honeymoon package.